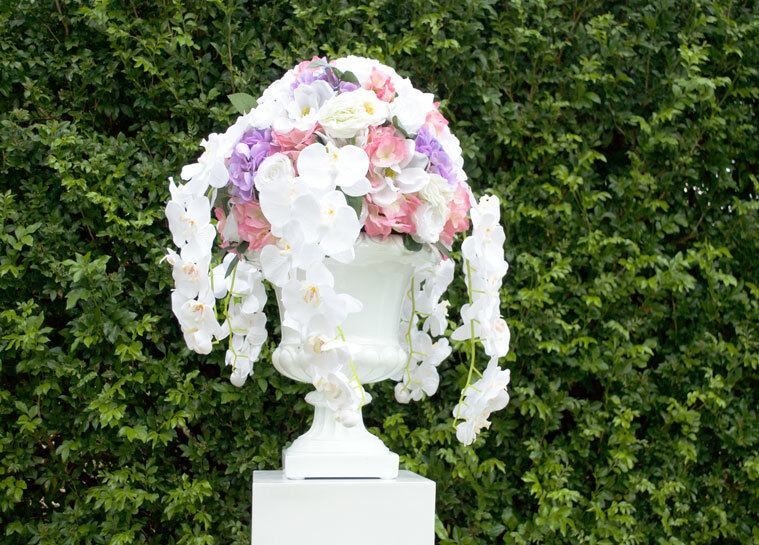 Looking for a stunning floral urn and pedestal? 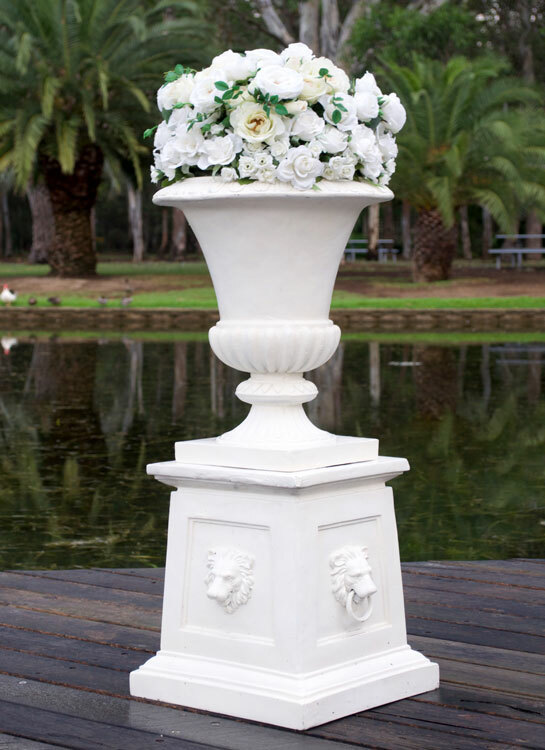 Adorable Wedding Concepts have a range of urns and pedestals and just pedestals to choose from. If you are thinking of creating a wedding ceremony package that incorporates colour, our floral urns can be added to your wedding ceremony setup as is or when can custom a floral arrangement that meets your outdoor wedding theme. A lot of brides and grooms are moving away from the traditional white rose decorations and opting for colour, making Adorable Wedding Concepts urns a perfect choice. We’ve created a number of ceremony setups using colour as a major feature and it looks spectacular. Adorable Wedding Concepts create colourful wedding ceremony packages, using a vibrant colours or traditional white depending on your wedding theme. We love creating amazing effects that build a theme. We can add coloured sashes that match the floral arrangements from our hundreds of sashes available so the wedding package looks complete. 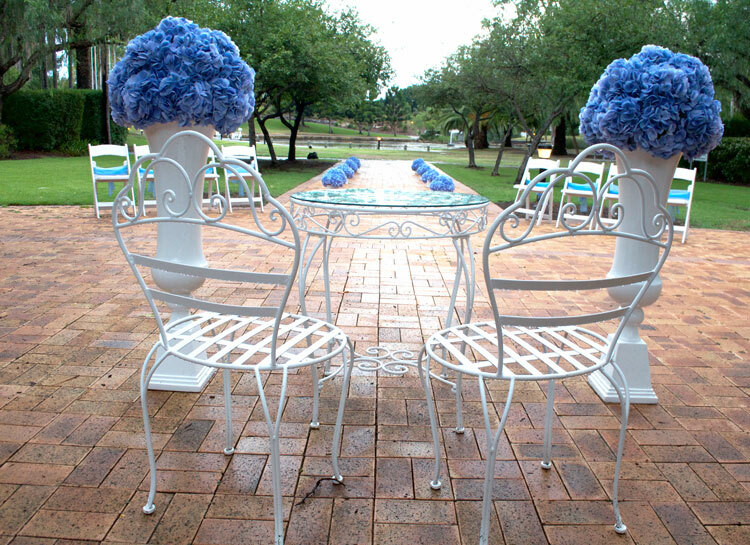 Adorable Wedding Concepts urns and pedestals are a great accompaniment to your wedding ceremony decoration hire. They are can be used to create a beautiful entry point to your wedding ceremony aisle or place them at the opposite end as a surround to the bride and groom during the ceremony, either way there should definitely be a place for them when selecting your wedding decorations. We have two wedding ceremony packages with the urns and pedestals included, alternatively you can add them as an upgrade in the Prince Wedding Ceremony Package or create your own custom wedding setup. Looking for an all inclusive wedding ceremony package that includes all the wedding decorations to complete your special day? Have a look through our wedding ceremony packages and if you are looking to create a ceremony style all of your own then we are happy to discuss the creation of a complete unique wedding ceremony theme. 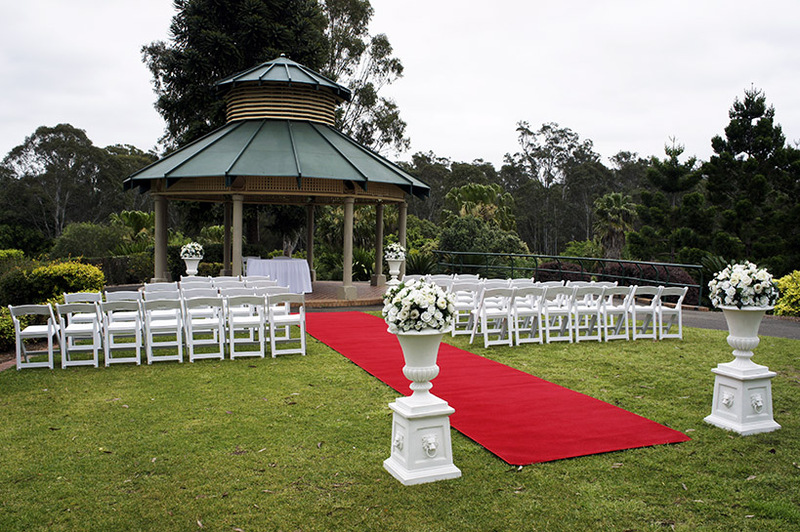 If you prefer to discuss your wedding ceremony, location or setting over the phone, you’re welcome to contact us for a free consultation on 0418 624 225 or send an enquiry today.